Cells are the basic functional, biological and structural unit of life. The word cell is a Latin word meaning ‘small room’. Cells are also known as building blocks of life. The branch of science that deals with the form, structure, and composition of a cell is known as Cytology. All organisms around us are made up of cells. Bacteria, ameba, paramecium, algae, fungi, plants and animals are made up of cells. Cells together form tissues. And tissue together makes an organ. The cell was discovered by Robert Hooke in 1665. He assembled a simple microscope and observed a very thin slice of cork under his primitive microscope. The cork was obtained from the outer covering of a tree called bark. Robert Hooke observed many little-partitioned boxes or compartments in the cork slice. These boxes appeared like a honey-comb. He termed these boxes as the cell. He also noticed that one box was separated from another by a wall. What Hooke observed was that these cells were actually dead cells. He got his work published in the book called ‘ Micrographia ’. Living Cells were first discovered in 1674 by V. Leeuwenhoek. He observed bacteria, sperms, and red blood cells. In 1839 Purkinje coined the term ‘protoplasm’ for the fluid substance of the cell. The cell theory was presented by two biologists, Schleiden (1838) and Schwann (1839). The cell theory was further expanded by Virchow (1855). And finally, with the discovery of the electron microscope in 1940, it was possible to observe and understand the complex structure of the cell and its various organelles. The chemical constituents and metabolic activities of all cell are fundamentally similar. Prokaryotic cells were the first form of life on earth. 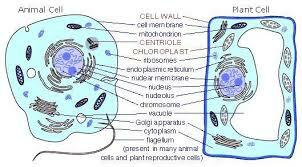 The nucleus of a prokaryotic cell is not properly organized. They don’t have a nuclear membrane. The region where genetic material lies in a prokaryotic cell is known as the nucleoid. The membrane-bound cell organelles like mitochondria, Golgi apparatus, etc. are not present in these cells. 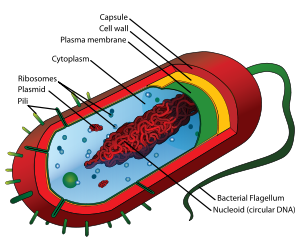 Organisms made up of prokaryotic cells are known as prokaryotes. Mycoplasma, bacteria, and cyanobacteria or blue-green algae are examples prokaryotes. These cells have a well-organized nucleus and a double-layered nuclear membrane. These cells have a variety of membrane-bound structure called organelles. Like mitochondria, endoplasmic reticulum, Golgi apparatus, etc. Plants, animals, fungi, protozoa, and algae are all made up of eukaryotic cells. These cells are about 15 times wider than a typical prokaryotic cell and can be a thousand times greater in volume. Organisms made up of single cells are known as a unicellular organism. A single-celled organism can perform all the necessary functions for survival. A unicellular organism can perform various functions such as digestion, assimilation, respiration, excretion, reproduction, etc. Organisms made up of more than one cell are called singled organisms. Multicellular organisms arise from a single cell and generate a multi-celled organism. The number of cells varies from organism to organism. For example- a spirogyra has a few cells while human body has trillions of cells. The smallest cell is PPLO(PleuroPneumonia Like Organism) – a bacteria of 0.1 to 0.5 micron. Mycoplasma is the only bacteria without the cell wall. The longest cell is neuron. It is the outermost covering in the animal cell. It separates the contents of the cell from the external environment. It also separates one cell from another. It is elastic and porous. It gives shape to the cell. Substances like carbon dioxide and oxygen enter the membrane through the process of diffusion. In the cell membrane, there is a spontaneous movement of a substance from a region of high concentration to a region where its concentration is low. Carbon dioxide is a cellular waste which is required to be excreted from the cell. Carbon dioxide in high concentrations inside the cell. It protects the cell against pathogen and mechanical injuries. It is the jelly-like substance between the cell membrane and the nucleus. It is made up of proteins, lipids, and carbohydrates. It has other components of cell known as the cell organelles. The cytoplasm and the nucleus together form protoplasm. It is a dot-like structure present in the cell. The jelly-like material present in the nucleus is known as the nucleoplasm. It has nuclear pores that help in exchange of material from the cytoplasm to the nucleoplasm. It has chromatin i.e. the thread like structures present at the nucleoplasm. The condensed form of chromatin fibers is called chromosome. The dot-like structure present in the nucleus is called nucleolus. 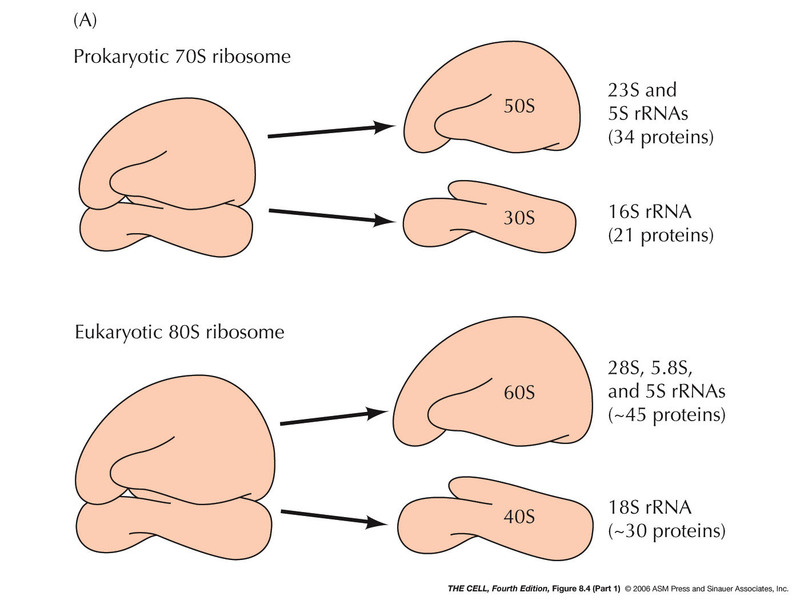 It is also known as the Ribosomal factory because it manufactures Ribosomes. After the synthesis of ribosomes, they come out of the nucleus in the cytoplasm, through the nuclear pores present in the nuclear membrane. The double membrane of nucleus forms a protective covering of nucleus which is often called as the nuclear envelope. It encloses chromatin material, nucleoplasm, nucleolus. It controls all the activities of the cells Hence, it is called the brain of the cell. 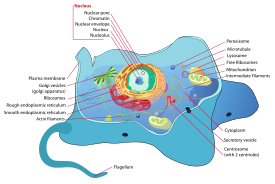 The nucleolus helps in the formation of cell organelles like mitochondria. It plays a major role in the inheritance of characters from one generation to another because it has chromatin material i.e. DNA which contains genes. It plays a major role in cell division. Mitochondria are also known as the power house of cell. It is generally cylindrical structures which are enclosed by a double membrane. It is usually present in eukaryotic cells. Mitochondria range from 0.5 to 1.0 micron in diameter. It has an outer and an inner membrane. 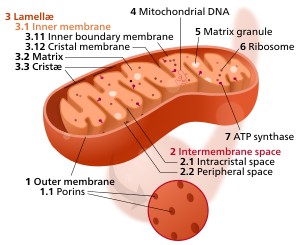 The inner membrane of the mitochondria is highly folded to increase surface area. They form and store the energy In form of ATP molecules. ATP is also known as energy currency of the cell. The body uses energy stored in ATP for making new chemical compounds and for mechanical work. The outer membrane is very porous. Mitochondria are called semi-autonomous cell organelles as they have their own DNA and 70S type of ribosomes. Therefore, they can synthesize their own proteins. The foldings of inner membrane are called cristae. Therefore, mitochondria play a great role in the functioning of the cell. It is a large network of membrane-bound tubes and sheets. It covers most part of the cells body. 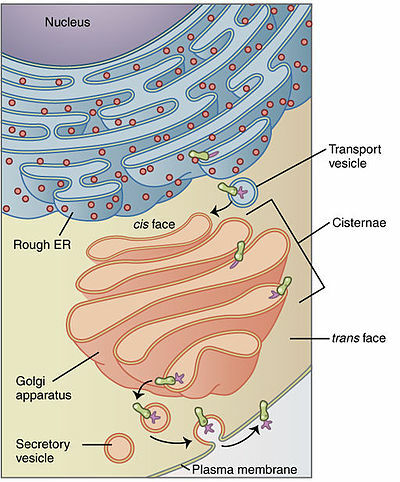 The ER membrane is similar to the plasma membrane. It is present in most of the eukaryotic cells. SER helps in lipid synthesize and RER protein synthesizes. SER helps in the synthesis of fat molecules (lipids) which help in proper functioning of the cell. RER looks rough under a microscope as it has particles called ribosomes attached to its surface. Some of these proteins and lipids help in building of cell membrane. This process is called membrane biogenesis. It consists of a system of membrane-bound, hollow sack like structure arranged approximately parallel to each other. These structures are known as cisternae. 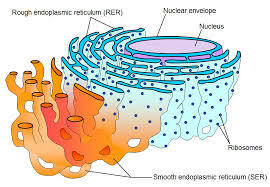 The material synthesized in Endoplasmic Reticulum are dispatched to various target sites which may be inside or outside the cell by the Golgi apparatus. It was discovered by Camillo Golgi. Its function includes storage, modification, and packaging of products. Sometimes, complex sugar may be converted into simple sugar in the apparatus. It is simpler in plants and is known as dictyosome. It plays an important role in the formation of acrosome of sperm. These are dense, spherical and granular particles. They play an important role in the synthesis of proteins. They are also called protein factory of the cell. They are not covered by any membrane. They are either found free or attached to the endoplasmic reticulum. These are the smallest organelles, and the only organelle which is present in the prokaryotic cell. a.70S ribosomes: Present in the cytoplasm of the prokaryotic cells, mitochondria, and plastids of eukaryotic cells. b.80S ribosomes: Present in the cytoplasm of eukaryotic cells. 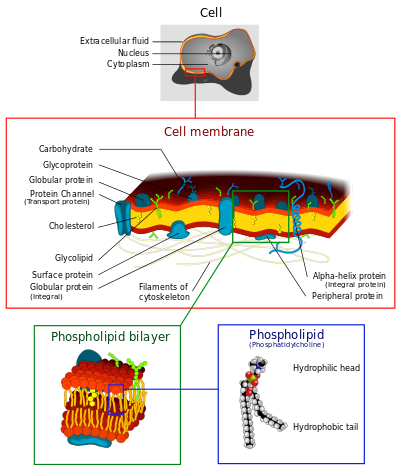 The membrane-bound spaces are known as vacuoles. 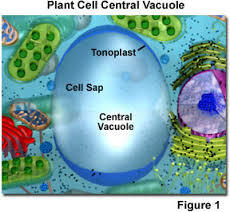 The vacuolar membrane is called tonoplast. They are the storage sacs for liquid and solids. In plant cells, vacuoles are large, distinct and central. In the animal cell, vacuole is small and indistinct. They help in osmoregulation(water and salt balance). The by-products of metabolic activities in mitochondria are stored in vacuoles. Isolating materials that might be harmful or a threat to the cell. These are double membrane bound structures found only in plant cells. It is a bag-like structure filled with a watery substance known as the Matrix or Stroma. They have their own DNA and ribosomes. 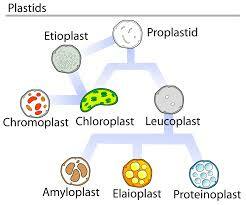 2.Chromoplast: These plastids usually impart yellow and red color to fruits and vegetable. The green color of the leaves is due to the presence of a green color pigment called chlorophyll in chloroplasts. They are also known as the kitchen of the cell. The chlorophyll present in chloroplasts helps in capturing the energy of the sun. They also store food after photosynthesis. The animal cell contains a nonmembranous organelle called Centrosome, which helps in cell division. This web page is created by Bhavesh Jain a student of Amity International School, Noida who studies in class 8.